Happy Halloween! Are You Ready To Splash? It’s finally here – Halloween! And as I tucked the final Twizzlers into my goodie bags last night, I couldn’t help but bop around to my absolutely favorite Halloween song – Bobby “Boris” Pickett’s Monster Mash. I love this song so much that I listen to it occasionally all year-long, but it sees its heaviest rotation by far once the leaves start to change and the Halloween Peeps orders start to pour in. I couldn’t resist trying my hand at changing up the lyrics a little to create something a bit more Blair! I hope the master himself wouldn’t have minded my having some fun with his catchy tune. This one’s for you, Bobby! Thank You For Making Us Your Favorite Online Candy Store! 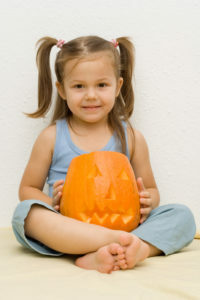 It’s no surprise that Halloween is one of the busiest times of the year here at BlairCandy.com. Each member of our staff puts in their 200% to make sure each order is filled just right and goes out the door in a timely fashion, and oh my, are there a lot of orders! We couldn’t do it without the dedication and hard work of all the friendly faces on our candytastic team, and we’d just like to take a moment to say a big THANK YOU! Of course, we also wouldn’t be here without YOU – our customers! We’ve been thriving for several generations now, and with us having just made Internet Retailer’s Hot 100 Web Sites of 2011 list, our future is looking pretty sweet, and we’re so excited to see what’s in store for us ahead. We love to hear from our customers, and the great feedback (both the positive and negative!) helps us to improve and make those positive changes that simply make us your go-to online candy store time and time again! We’re quite the chatty bunch, so always feel free to say hello on our BlairCandy Facebook Page and BlairCandy Twitter – we’d love to hear from you! After all, we’re not just an online candy store – we’re a candy store made up of friendly faces with a penchant for everything candy, and oh, do we know our candy. 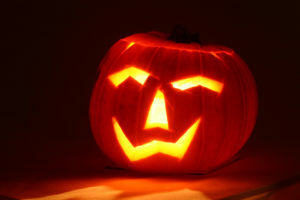 Again, thank you to the BlairCandy.com staff for another great Halloween candy season, and to our customers – thank you for helping us continually improve BlairCandy.com and thrive for generations to come! Nostalgic Candy For Halloween Lets You Be A Kid Again! Having a tough time deciding which Halloween Candy you’ll be giving out to Trick-or-Treaters this year? There are tons of tasty options out there, and it’s actually pretty hard to make a bad decision! But for as much as Halloween is a holiday that is, as they say, ‘for the children’, we encourage you to make it about yourself as well. Leave it to the Johnsons down the street to fill the kids’ treat bags with Fun Size Snickers and Reese’s Peanut Butter Cups. Let the Coopers give the princesses, witches and zombies plastic Spider Rings. Let the little ones get their Tootsie Pop fix from the Fredericks. You have candy your inner child can relate to in your treat bags! My Halloween memories are just as vivid, if not more so, as my memories of childhood Christmases. I remember the costumes I wore, the costumes my friends wore, the Halloween parades at school, trying to fall asleep Halloween night with sugar pumping through my kid veins – I remember it all. I remember collapsing on the living room floor after a long night of trick-or-treating and dumping my candy in front of me with tired, yet wide-eyed appreciation for all the wonderful ways sugar has been imagined into magic. I remember the Sugar Daddys, I remember the Air Heads, I remember the Atomic Fireballs, Wonka Bottle Caps, Razzles and Root Beer Barrels. And every time I enjoy one of these candies, I get to remember again. And remembering is even sweeter than the candy itself. Treat yourself to some nostalgia this Halloween. Think of the candy you loved hauling home when you were a trick-or-treater, and share a little piece (or two!) of your past. Not only will the neighbor kids be introduced to some of the best candy ever created – candy that has stood the test of time and still has fans coming back for more – but you’ll also get to really enjoy all the candy leftovers if November 1st finds you with a few extra treat bags. We also have a feeling that after all those kids fall asleep and their parents take a peek inside their plastic pumpkins for a sampling of their loot, their adult eyes will light up like they haven’t in years upon spying a Bit O Honey or familiar red box of Boston Baked Beans! The Gingerbread House Kits have arrived at Blair Candy as they do every year in preparation for the spicy seasonal rush, and as we carefully tucked them away onto our Christmas shelves, someone nonchalantly mentioned, “Maybe we should leave a few on the lower shelves. 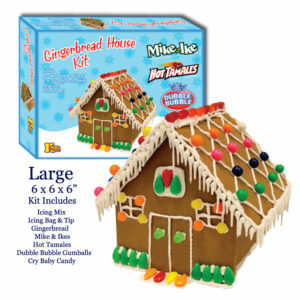 People might be ordering them to make haunted houses for Halloween.” I had never considered that some of the Gingerbread House Kits that were ordered early just might be haunted gingerbread houses! And while I’m not sure if they were, or were simply ordered in advance of the holiday rush, I can’t help but hope some became haunted houses. How would you decorate a haunted Halloween gingerbread house? Icing cobwebs? Spiders made from Anise Bears and Black Licorice Twizzlers? A Witch Finger Lollipop picket fence leading to the creepy front door? Eyeball Candy peering out from each window behind curtains made of hand-tattered Broadway Rolls? Or perhaps your haunted gingerbread house would be so spooky we can’t even imagine?! From slightly scary to harrowingly haunted, we’d love to see pictures of them all! In fact, we’d love to see them so much that if you send us a picture of your Halloween gingerbread house you could Win $20 Worth Of Candy From BlairCandy.com! 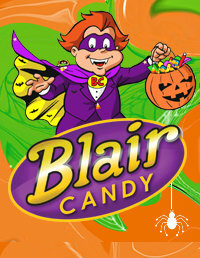 The Blair Candy Team will vote for their favorite entry the week after October 31, 2010 and we’ll make an announcement as soon as the votes are tallied. Halloween Candy + Cold Hard Cash = Happy Trick-Or-Treaters! Chances are good that if you’re sitting home on Halloween night with a bowl full of treats and your porch light on, you’re looking forward to having some trick-or-treaters stop by! And what fun-loving person wouldn’t be? Not only are the costumes creative and cool, but it’s a heartwarming night as well. I can’t help but smile watching packs of kids shuffle from house to house fueled by sugar and excitement as parents trail behind picking up dropped tiaras and carrying coats that their children refuse to wear. The Easter Bunny may fill a million baskets, and Santa Claus may shimmy down almost every chimney on the block, but it’s only the families of those children that get to see their faces light up in the morning when they spy the chocolate eggs and wrapped presents. Halloween is for everyone! It’s a holiday of public enjoyment, and I love every minute of it! So how to make sure you get as many trick-or-treaters as possible and didn’t miss that Halloween party in vain? Simple. Have the most appealing house. There are many factors to consider in having the most appealing house, and none of them have anything to do with having the fanciest house. Kids are not impressed by riches – kids are impressed by wonderment and possibility. Decorate your house colorfully – have Halloween music pouring from open windows – invite a few friends over to fill your house with laughter and help keep you in the Halloween spirit – wear a costume – put a costume on the dog! 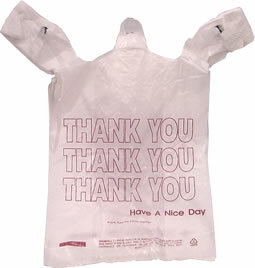 And last but not least…put cash in some of the Halloween treat bags.